Scania Lorry Planter garden ornament. Very authentic looks exactly the same as a real truck. Superb quality and detail everything can be seen even down to the tread on the tyres. 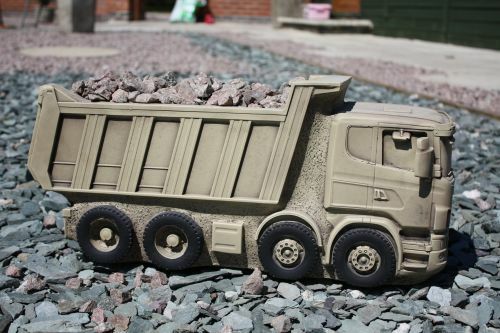 The Scania is 54cm long x 25cm high x 19cm wide and weighs a hefty 35KG.